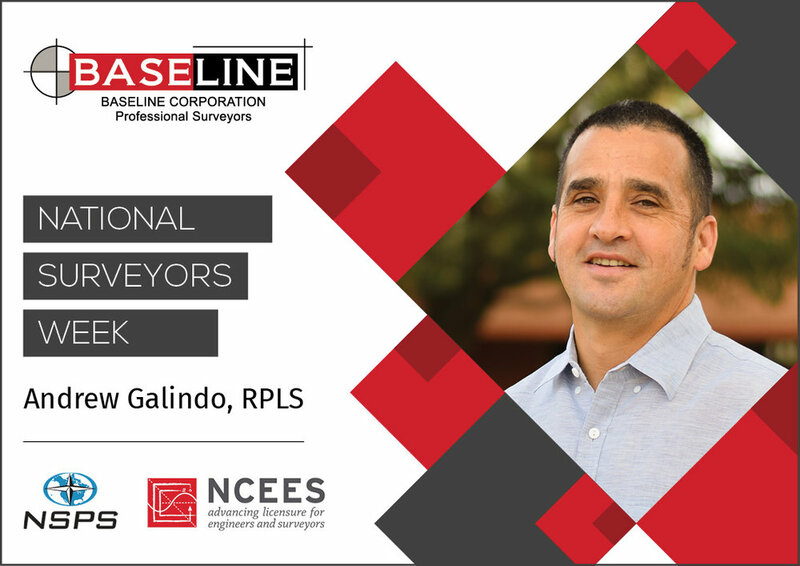 National Surveyors Week Spotlight: Andrew Galindo, RPLS — Binkley & Barfield, Inc.
After five years with Baseline, I feel I have grown immensely and yet still find room to grow every day. We are fortunate to be in an era where surveyors are in high demand and extremely busy. That alone brings many challenges, such as attracting and keeping high quality employees and maintaining high standards in the work we produce. The leadership and structure at Baseline (and BBI) are such that each one of us is empowered with being a part of their own development without feeling micro-managed or like there is no room to implement and grow our knowledge. Personally, this is the most satisfying aspect of working here. Did you always want to be a surveyor? Aside from wanting to be a professional racer, I never knew with certainty what I wanted to be. However, I’m quite satisfied with my career choice. Surveying is a niche field and surveyors “a little different” from the rest. How has the industry changed since the start of your career? Technology in both field equipment and computing power has advanced immensely. This means more ways to capture, handle, and produce data, which is seemingly “more complicated than it used to be,” but definitely achievable when sticking to good process and fundamentals. Technology has made things somewhat easier but at the same time has added demand and pressure. How do you think technology will change surveying in the future? We’ll keep progressing the way we are, with more sophisticated and precise equipment. It needs to be kept affordable and fun so that people are still attracted to the field. Staying current on training and development will be important, as will be not sacrificing correct procedures and professionalism.